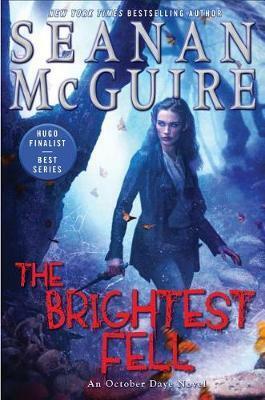 New York Times-bestselling October Daye faerie series - Hugo Award-winning author Seanan McGuire - "Top of my urban-paranormal series list!" --Felicia Day Contains an original bonus novella, Of Things Unknown! Things are slow, and October "Toby" Daye couldn't be happier about that. The elf-shot cure has been approved, Arden Windermere is settling into her position as Queen in the Mists, and Toby doesn't have anything demanding her attention except for wedding planning and spending time with her family. Maybe she should have realized that it was too good to last. When Toby's mother, Amandine, appears on her doorstep with a demand for help, refusing her seems like the right thing to do...until Amandine starts taking hostages, and everything changes. Now Toby doesn't have a choice about whether or not she does as her mother asks. Not with Jazz and Tybalt's lives hanging in the balance. But who could possibly help her find a pureblood she's never met, one who's been missing for over a hundred years? Enter Simon Torquill, elf-shot enemy turned awakened, uneasy ally. Together, the two of them must try to solve one of the greatest mysteries in the Mists: what happened to Amandine's oldest daughter, August, who disappeared in 1906. This is one missing person case Toby can't afford to get wrong.